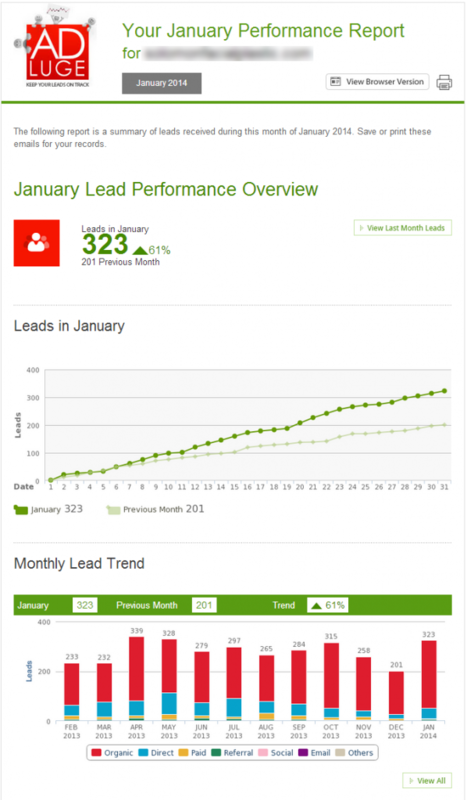 We have now added entirely new Monthly Performance Reports which are sent out at the beginning of every month. This report helps exemplify lead trends month-over-month to provide an easy to read snapshot of how your website is performing. Users can enable and disable this email within the “Manage Users” section of their AdLuge account. For more information, feel free to contact your Account Manager! Not an AdLuge user? No problem! Contact our Solutions Team today or get started with a Free Trial!